In Hebrew the 14th letter of the Hebrew alphabet is the letter, “NUN.” (Pronounced as “Noon”) During the latter months of 2017 Pastor Jedidiah was seeking the Lord’s leading regarding the expansion of the ministry into 2018 and beyond. The Lord was very clear when He responded, “Cut away everything that has failed to produce. It only serves to entangle you.” And from there Holy Spirit began to teach Pastor Jedidiah about that very special crowned letter in Hebrew, the amazingly deep letter, “Nun” and all that it means. According to the Chaz’l (Sages) the “NUN” is said to represent “faithfulness” and “the reward for faithfulness.” Moses is seen as a meek humble servant of the Lord. It is said that the one who is humble before God will stand upright in the final day. CALLED: CLETOS (GREEK) We will actively share the Good News globally by audio (radio, mp3’s) by TV and in person that Holy Spirit deliver out of the multitudes those who are called by God, those chosen by God and those who decide to live faithfully to God. CHOSEN: (EKEKTOS) We will work globally with some level of focus on the world’s hardest places to mentor, train, equip, guide and provide spiritual oversight to those native pastors serving their nations and/or serving abroad. We will also minister locally, regionally, nationally and internationally via CrownLife Nights, CrownLife Conferences and CrownLife Fellowships. FAITHFUL: (Pistos) We will center our teaching and become more widely known for “helping people life faithfully” in these last days. In late November 2017 I was led to spend a week seeking God’s face and direction for the ministry work that He has called me into since my youth. It is my understanding that in life one is not limited to one single calling from God, but when there is willingness God can take a calling and expand it in many way including geographically, spiritually and in fact any way He wishes. So it is that over my lifetime my calling from God began in my youth in Central American and then into the Caribbean basin regions and ultimately into what is today a global international ministry. It’s a cross cultural “Pastoral Missionary” calling that is truly apostolic in nature. The ministry includes specific cross cultural and language gifts, gifts to engage people as “a spiritual dad” (the most rewarding part is that) and gifts of faith in action, compassion and the notable reality of a life lived faithfully in the certainty of receiving a crown of life. Let’s take a look at what God is revealing to me at this stage of my life and calling from Him. Only family member called to Christ at age 16, and added to a cessation church where the present day work of the Holy Spirit as taught had ceased in the first century and where God did not speak to people, only in the written Word, the Bible and certainly though we prayed for miracles they just never happened. Shortly after coming to Christ I was on missions to Honduras yearly, subsequently at age 18 in the jungles of Honduras God spoke to me for the first time and gave me a calling – “Called Out To A Foreign Field” While in the remote jungle mountains of Eastern Honduras in the state of Olancho in the village of Las Delicias de Cuiamel, in a mud hut church where Israel Flores was preaching in Spanish and those of us who did not know Spanish were relegated to doing basic first aid. They brought to me a very beautiful little girl who was the daughter of Medardo Gomez the local preacher and she had been running through the jungle and a stick had stuck through her leg. The local people did the best they could as there was no doctor, no hospital, no clinic, no nurse or healthcare worker so the parents had done traditional salves and wrapped it in a rag and then with banana leaves and a rage to tie it in place. Even the Bible has a creation story and so does every pastor with a true calling. This is my Creation Story and is part and parcel to my overarching ministry calling and Ministry DNA. “CALLED | CHOSEN | FAITHFUL” 1 Thes. 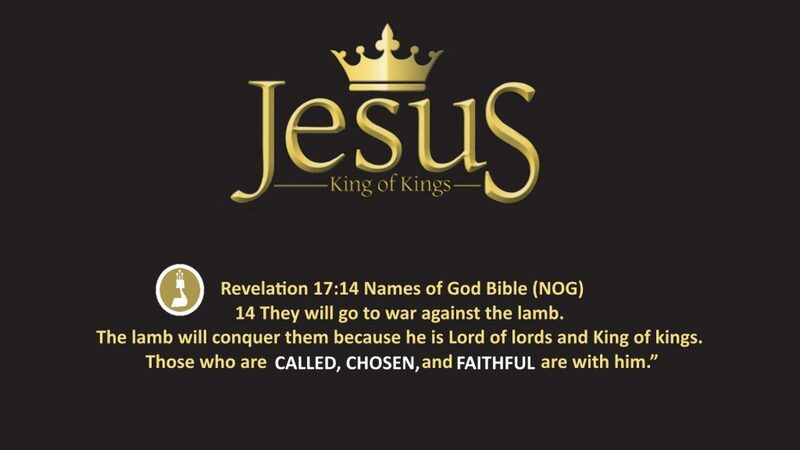 4:16-17 & Revelations 17:14. We will share this story over and over again because it will help people know and see that they are, or can be part of a ministry birthed inside of miracles and the direction, guidance and calling of God. It is the foundational story of the over 3 decades of ministry and is the platform for our convictions of faith. 2). My spiritual DNA: Obedient faith, radical faith, God dependent faith and loyalty. I can clearly testify that God does speak, God does call, God does make a way, God is real, God’s calling is true, you can live a faithful life and obtain the crown of life. Essentially that odd looking letter “Nun” will become our “icon”, part of our logo and we we will use if for shirts, hats, t-shirts, labels, etc. When we look back we can see all of these pastors who become known for one main thing: Billy Graham – Salvation, Kenneth Copeland – word of faith, Rick Warren – Purpose, John Maxwell – Leadership, Rod Parsely – Pentecostal, James Dobson – Family, Joel Olsteen – Inspiration, Dave Ramsey – Finance, Joyce Meyers – Everyday Life, Jentezen Franklin – Fasting, Joseph Prince – Grace, John Hagee – Israel…. That expression of “Living Faithfully” should become like Joyce Myers – “Everyday Life!” it’s like part of who she is in ministry, its’ her DNA in ministry — despite all that she went through with sexual abuse, divorce, etc… God can use her to talk to millions about “everyday life” and so with me it is that I can talk to people about 37 years of “Living Faithfully” and it’s a lofty, but easily expressed truth. 8). The ministry will be known for: VISION | INTEGRITY | COMPASSION | ANOINTING AND LIVING FAITHFULLY. CONNECT | PROVIDE ANOINTED CONTENT | SEE CONVICTION OF HOLY SPIRIT | SEE CHANGE OF HEART & LIFE | HELP LIVE FAITHFULLY. a). Can God speak today? b). Can a person really hear from God and get a calling? c). Can a person live faithfully today? d). Can a person who is serious about their faith get connected and thrive with a group of believers who are CALLED | CHOSEN | FAITHFUL? e). Can God use a young person? A teenager? Or an older person? f). Can God change your calling over your lifetime? Enhance it? Add to it? Completely change it? 16). OUR ULTIMATE EXPRESSION OF MISSION: To help people who are called become chosen and then to live their life faithfully as led by the Word and the Holy Spirit. 17). What are you here to accomplish? To help the sons and daughters of God live by faith as led by His Spirit. b). The anointing of Holy Spirit is real today. c). God calls by His Holy Spirit. d). It is possible to be called by God and to choose Him back. e). it is entirely possible to live a faithful life to God today. f). We have done it, are doing it and so can you. 20). Who am I? An ordinary person who was supernaturally called by God and chose Him back and have lived a lifetime faithfully serving Him. (Not a 100% perfect life, as such none exist – but a faithful life) Chosen because He chose me and I chose Him back – a spiritual exchange. 35 years faithful living as a missionary and pastor and in life. 21). What is my ministry really about? Helping people who are called by God to choose Him back and to walk in faith as led by the Word and the Holy Spirit. 22). How can that vision impact people’s lives? a). People can learn to walk in authentic faith. b). People can learn to choose God back. c). People can learn to live by faith, really, by faith. d). People can learn to step fully into God’s calling with confident faith. e). People can live rewarding and satisfying lives that glorify God and end in receiving a crown of life. f). People called to ministry from the nations can find spiritual guidance, mentoring, and resources to empower them to step fully into their own callings in their nations. g). People today can become todays’ Heroes of Faith. h). The church, ministries and mission can be staffed, equipped and supported. 24). What makes you unique or different? I do what God says to do — 37 years faithful living since age 16 to age 53 (current) Lived in Latin America as a missionary, bilingual fully, multi cultural, very comfortable with Hispanics and a supernatural draw to them and they to me, strong connections in the Latin world and I have a dual personality. I have an English personality and a Spanish personality. I understand and relate easily to Hispanics from most all Latin American nations. If there is a room filled with 100 people and 1 is Hispanic then that’s the one I am drawn to. To some degree it is true also of people from other nations. 25). Credibility? What Drives you? For me it was the early call of Christ upon my life and my subsequent experiences directly with God and the world of faith based international missions. I had to live by faith as a self supported missionary so I can relate easily to those serving in hard places and living and serving by faith. I worked hand in hand with native pastors, living with them, playing with their kids, riding their horses and donkey’s, eating their food, drinking from their rivers, depending upon them to guide me in the jungles and mountains. I understand that my past history and purpose is part of the ministry DNA that identifies me. 26). Why do I do what I do? Only because God called me, chose me and I chose Him back and I am living faithfully to God. 27). My gifts and talents? Preaching, Teaching, Writing, leading, missions, cross cultural, bilingual, divine propensity to connect with people from other nations and ethnicities.